In last February we published an article explaining that the then very low oil price (31-32 USD/barrel) were not sustainable. In the article we focused on why oil prices will soon need to be approaching 60 USD/barrel and then head towards approximately 80-90 USD/barrel. Now, only five months later, the price of oil is close to 50 USD/barrel. This does not mean that higher oil price is here to stay, nor does it mean that a price close to 80-90 USD/barrel is just around the corner. The world is still experiencing quite higher crude oil supply than consumption (demand), which can also be described as over-supply of crude oil. This means that oil price may stay quite low for some time (and even become lower than it currently is). But looking a bit further ahead, the price of oil will need to be approaching 60 USD/barrel and then head towards 80-90 USD/barrel. Else, there will not be enough oil for the world. 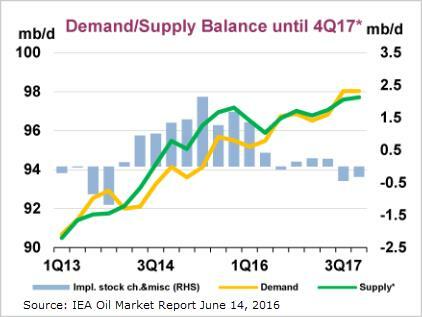 The graph above is from IEA’s June report, predicting that oil supply and demand is heading fast towards balance, supply to be outstripped by demand in the second half of 2017. Although this prediction by the IEA may be somewhat optimistic, i.e. it may take longer time for reaching balance in the oil market, it is obvious that in the long run the over-supply will vain. And then we will eventually again experience substantially higher price for crude oil than we have today. 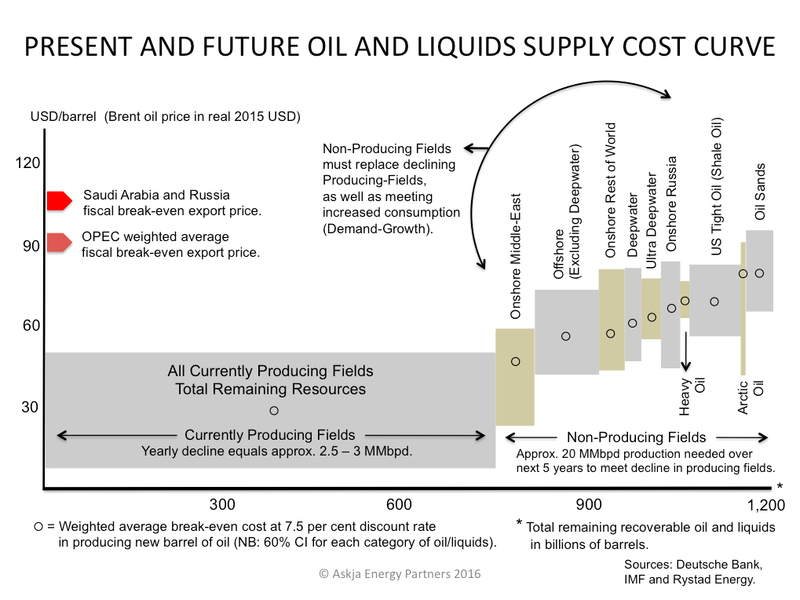 To explain this further, we have updated our chart (at left) explaining the cost of future’s oil production. The graph shows where the world’s oil will come from in 2025 and at what cost. In 2025 very substantial amount of the world’s oil will come from currently producing oil fields. However, due to decline in those oil fields and due to growing oil consumption, we will also need oil from new fields (which have already been discovered and are being developed). And to be able to bring those fields in production, we will need quite high oil price. Large share of the oil consumed in 2025 will be coming to the market even if the oil price will only be in the range of 60-80 USD/barrel. But if we are hoping to avoid oil supply crisis, the oil price needs to become even higher. Like close to 90 USD. To ensure all this oil will be brought up from the ground, we will need substantially higher oil price than we have today. Thus, it is likely that within the next decade we will see the price of oil approach 90 USD/barrel (in present USD value). Of course the oil price may in some periods become higher and sometimes it will be lower. And keep in mind that it is impossible to predict with any precision how oil consumption (oil demand) will develop in the world (the same applies to prediction for renewable energy growth). 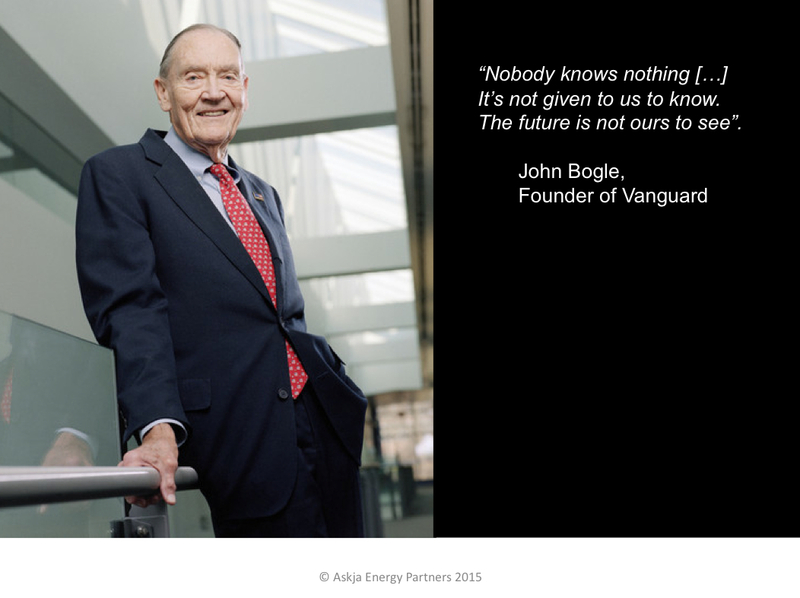 No one knows what the price of the black gold will be at a certain point of time in the future (remember the wise advice Jack Bogle received early in his carrier!). However, if the world economy is going to keep on growing, like we are used to, we will need crude oil. And a lot of it. A decade from now it is unlikely we will have all that oil unless we are willing and able to cover a production cost of at least approximately 90 USD/barrel. The unknowns are many and the oil markets are extremely sensitive to all kinds of events. We don’t know how the economy in Asia will grow in the coming decade. And we don’t know if we are soon to experience enormous growth in new types of vehicles, using electricity instead of fossil fuels. 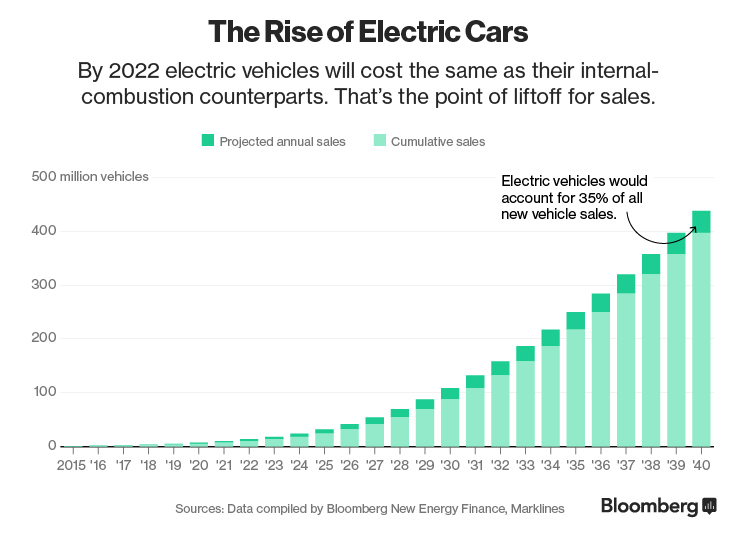 If the 2020’s will be the decade of the electric car, as Bloomberg New Energy Finance (BNEF) now predicts, oil demand may become a lot slower than the oil companies are assuming. Which could result in continued over-supply of oil. 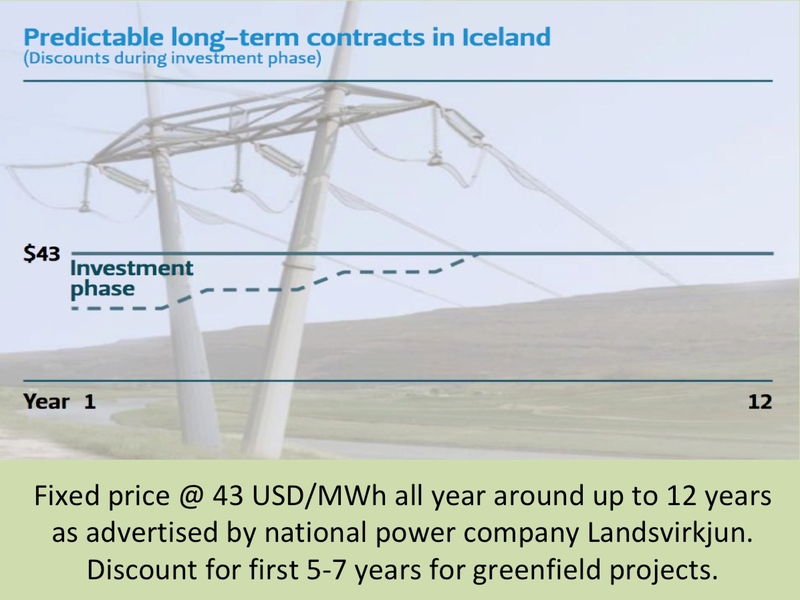 So it is to be seen how growing production – and lower costs – of EV’s, will affect investment decisions by the oil companies. Stay tuned!